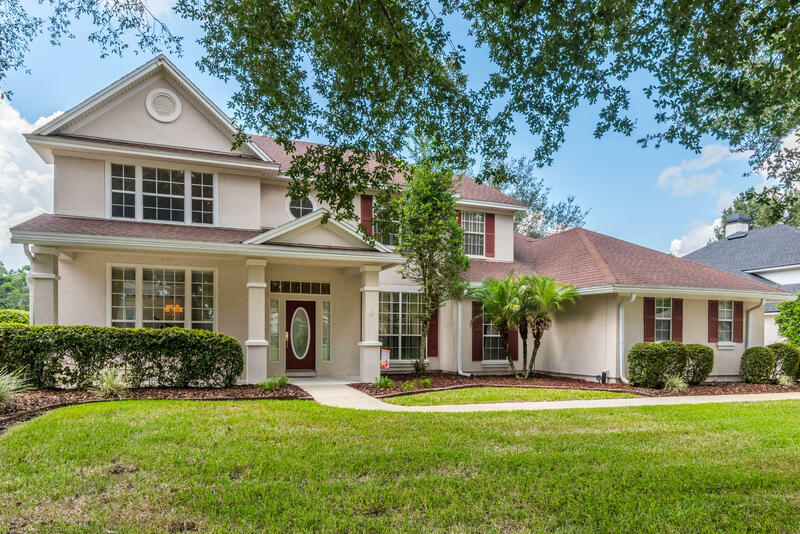 You don't want to miss this beautiful, unique home within Julington Creek Plantation! This David Weekly home, located on a cul-de-sac lot, features upgrades to the interior and exterior of the home that you need to see in person. Upgrades include a heated pool that was refinished in 2017, a summer kitchen and outdoor shower, granite countertops, triple crown molding, stainless-steel appliances and so much more. Transferable home warranty valid until Feb 2020. This home is perfect for families who enjoy the outdoors, with a beautiful view of the lake, available garage storage for bikes, sports equipment, and more. Enjoy fishing with the family in the privacy of your backyard and look forward to relaxing mornings on the balcony with a fresh cup of coffee.